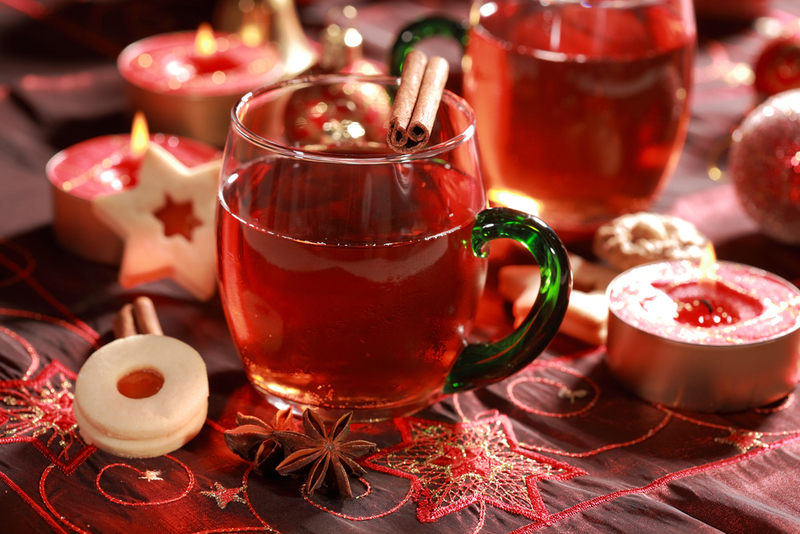 You are here: Home » Holiday Drinks, Yum! I happen to know that Christmas cannot come soon enough when a certain coffee chain starts pimping their festive coffee cup as early as November 1st. I’m not sure what it is about the cup: If it’s the promise of the pending holiday cheer; the start to the jolly season; the looming conclusion to the calendar year. It’s just a color change, really, and with it comes some seasonal espresso drink changes on the menu. But does a cup like this make things taste better? I am one who thinks so. The town I live in is not quite large, definitely not a city, but definitely not a village. It’s in the middle. There is exactly one coffee shop in the town’s center. It’s really a bakery, but it’s the only place you can go to get a cup unless you wish to purchase your caffeine at the likes of a convenience store. The bakery is fine. It’s not anything I’d write home about, but the coffee is even more unremarkable. In fact, the last time I got a cup there, I wondered if the high school students working there had ever brewed a pot before. It’s that weak. It’s that shameful. And this, really, is our only option in the immediate area unless we wish to drive to a grocery store, purchase the beans, and brew our own. Or, I suppose we could drive farther away to find a chain who is used to, well, making coffee. Would this OK place, this bakery, get a free pass if it was cozy and comfortable, a place where virtual employees would lug their laptops to get work done using their free Wi-Fi? I don’t think so. But I do think that the opposite is true. If the coffee is good, if the surroundings are inviting, well there is no reason not to make that place your remote office—especially when the cups symbolize good things to come.